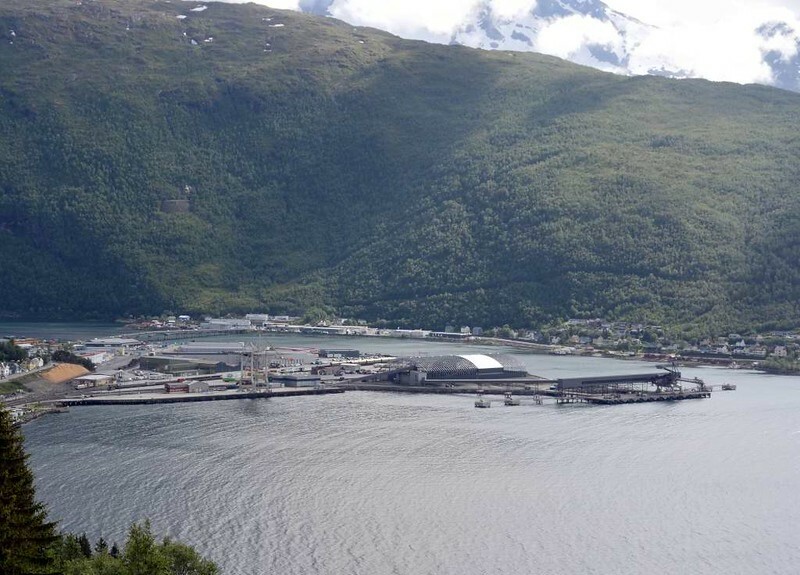 Narvik harbour (part), 23 July 2015. Looking south. The E6 road can be seen beyond.